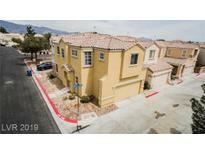 Below you can view all the homes for sale in the Renaissance At Tierra De Las Palmas subdivision located in North Las Vegas Nevada. Listings in Renaissance At Tierra De Las Palmas are updated daily from data we receive from the Las Vegas multiple listing service. To learn more about any of these homes or to receive custom notifications when a new property is listed for sale in Renaissance At Tierra De Las Palmas, give us a call at 702-323-5963. It may not be available tomorrow. MLS#2089460. Crown Point Realty, LLC. Grand Master Suite w/Spa like Retreat! Move-in Ready! ! MLS#2087247. Maxim Properties. Add your own touches to make it yours. It's a great find. MLS#2087364. Local Realty. Also Enjoy The Community Pool On Those Hot Summer Days! MLS#2087005. Turn Key Property Solutions. Jack and Jill bathroom separates secondary bedrooms. This puppy will not last. MLS#2082956. Keller Williams Market Place. Monthly Dues Of $149.50 Covers Water, Trash, Sewer, Maintenance Of Front Of Properties, Gated Community, Community Pool. MLS#2082783. Realty ONE Group, Inc.
Lots of lighting features, blinds throughout! Two-tone painting throughout! MLS#2080477. Brady Realty Group, LLC. 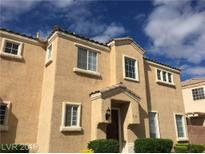 IF purchased by an investor Sellers may wish to lease back! MLS#2082002. Urban Nest Realty. Gated Community Spectacular Two Story Home With 3 Bedrooms, 2.5 Bath, 2 Car Garage, Great Layout Step Down Formal Living, Very Spacious Kitchen , Granite Counter Tops, Double Door Entry Huge Master, Community Pool/Park . Ready To Move In Condition. MLS#2078537. Evolve Realty. Beautiful home w/ new carpet, fresh paint, new blinds, refinished kitchen cabinets, clean and ready for you to call home~Living room w/ ceiling fan & light~Tile entry, walkway & kitchen~Kitchen w/ pantry & includes refrigerator, microwave~Upstairs laundry closet w/ full size, stackable, washer & dryer~Master w/ ceiling fan/light, walk in closet, double sink & tub/shower combo~Gated community w/ community pool, playground & guest parking! MLS#2075259. Large Vision Property Manageme. 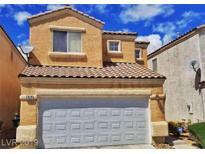 HOA includes trash, sewer, water, & security MLS#2072367. Choice One Properties & Manage. Water-Sewer-Trash are included in the HOA payment. MLS#2040399. THE Brokerage A RE Firm.